1 ml syringe of super potent THC oil. Based on current labs this syringe contains 553 mg of activated THC. DON’T ASSUME THIS BATCH OF OIL IS THE SAME AS A PREVIOUS ORDER. We constantly get new batches in and update the labwork accordingly. Check your dosages each time you buy. 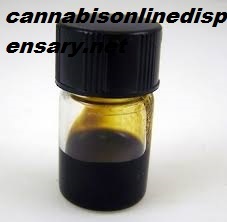 Cherry Oil is a cannabis based smoking oil made from non-decarboxylated cannabis and filtered through charcoal to remove the majority of chlorophyll from the plant material. Cherry Oil can be vaporized, hot knifed, rolled in a joint or smoked in a pipe on a bed of ashes or herb. Cannabis Cherry oil has an intense THC concentration and a very subtle cherry flavor that will provide an experience unlike any other.